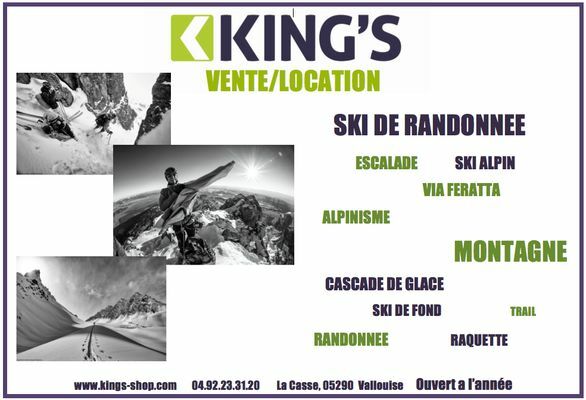 Hire and sale of equipment and clothing for skiing, climbing, mountain activities. Ski trekking specialist. 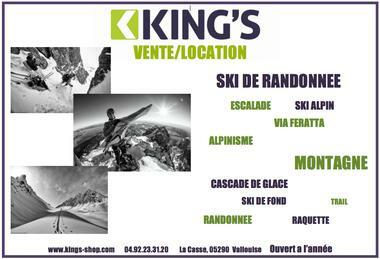 * Sale: Technical clothing and equipment for all summer and winter mountain activities. Fashion section. * Hire: We can provide all the necessary equipment for mountain activities. * A warm welcome and advice with a smile! There is no review about King's Sport, be the first to leave one !